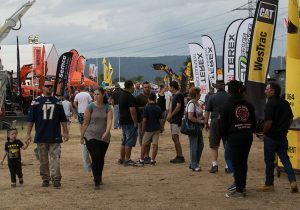 “We have never seen anything like it”, and “absolutely amazing” – – these were typical comments from exhibitors at Sydney’s first Diesel Dirt & Turf Expo staged in Penrith, New South Wales. 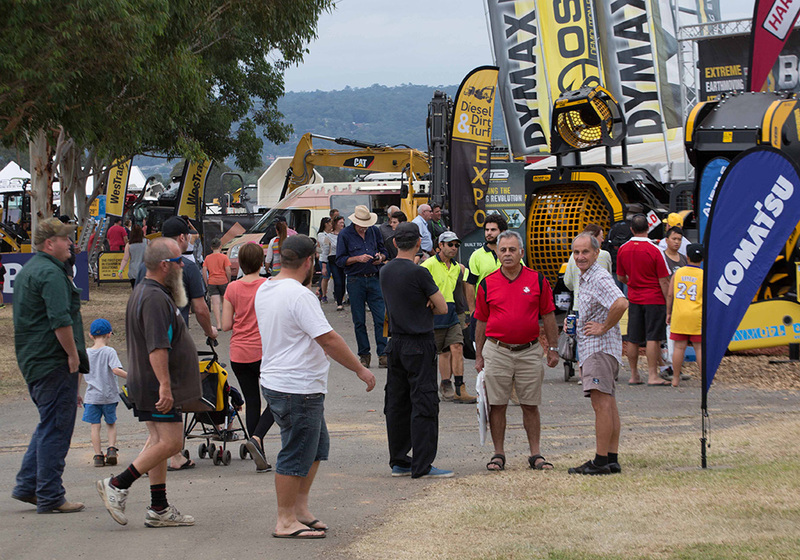 A staggering 30,000 visitors attended this earthmoving and construction expo – a massive number compared with attendances at similar Australian industry shows. 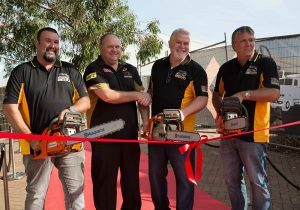 Photo: Opening the Diesel Dirt & Turf Expo: from left, Chris Wilcox, Panthers Chairman Dave O’Neill, Event Managers Steve Zivkovich and Norm Pesch. People not only came to look; they came to buy. 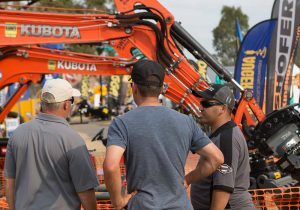 Livio Pace of Boss Attachments said he was literally “blown away” by the huge crowd that included machinery attachment buyers who generated around $1 million in sales for his company. Expo manager, Steve Zivkovich, said the industry members who had supported their own event were now reaping the rewards of their confidence in participating. Visitors and their families flocked to the grounds of the Penrith Panthers where they were treated to great food from the many food stalls dotted throughout the Expo and enjoyed the entertainment and attractions for their children. Machinery operators competed for trophies and big cash prizes in several field trials to show off their skills. Some had come from interstate, attracted by the big prizes. Other major visitor attractions were the Flair Riders Stunt Show, pony rides, face painting, and vintage trucks, while the popular television series ‘BlokesWorld’ filmed the Expo to produce a one-hour episode that will go to air later in the year. 0 Comments on "2016 Diesel Dirt & Turf Expo Arrives With A Bang"